Everyone knows Paul Newman, the Academy Award winning actor, director, philanthropist, and salad dressing king. And if you’re on this site, you probably know PL Newman the racer and racing team owner. Newman was shy about his accomplishments as a driver, yet they span nearly 35 years, and his race record is seriously impressive. Newman-Haas Racing has won more than 100 CART/Champ Car/IRL races and eight championships since its inception in 1983. 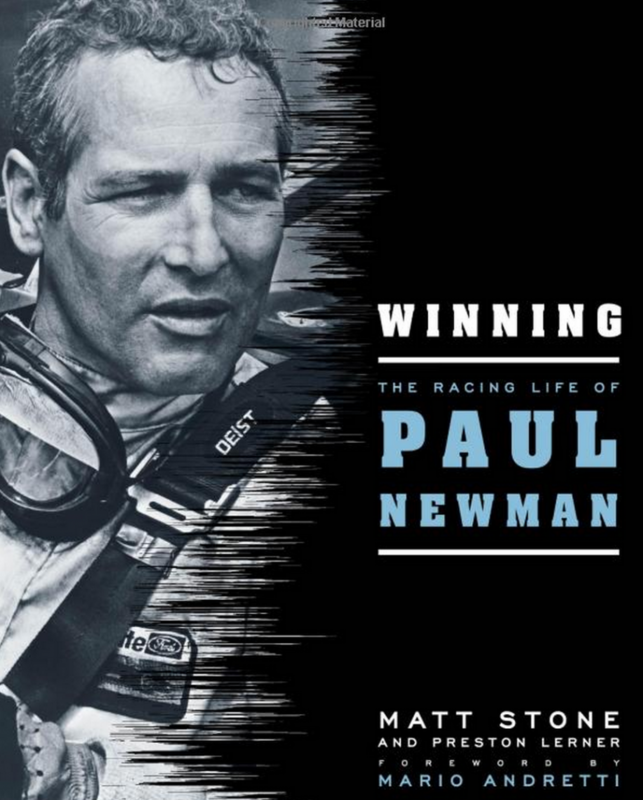 This book includes first person remembrances from nearly 40 people who raced with him, for him, and against him, and many never-before-published photographs. There are also chapters on the two racing movies that bookended his career, Winning (1969) and CARS (2006). I’m proud of this book because of the people I worked with on it, and mostly because of the subject, whom it was an honor to know and admire.